The schedule was a bit lighter in the NHL on Sunday with seven games on tap, but it wasn’t short on action. A win streak for a former winless team could be starting, a team destined for the first pick in the June draft picks up their first home win of the season, plenty of highlight goals, and even a shutout were witnessed. 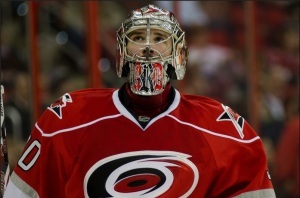 A two-game win streak may not sound like much, but for the Hurricanes don’t think so. Carolina was the lone team without a win heading into the weekend and left having won two games in a row in consecutive days. After shutting out the Arizona Coyotes on Saturday, the Canes beat the defending Stanley Cup Champion Los Angeles Kings on Sunday, 3-2. 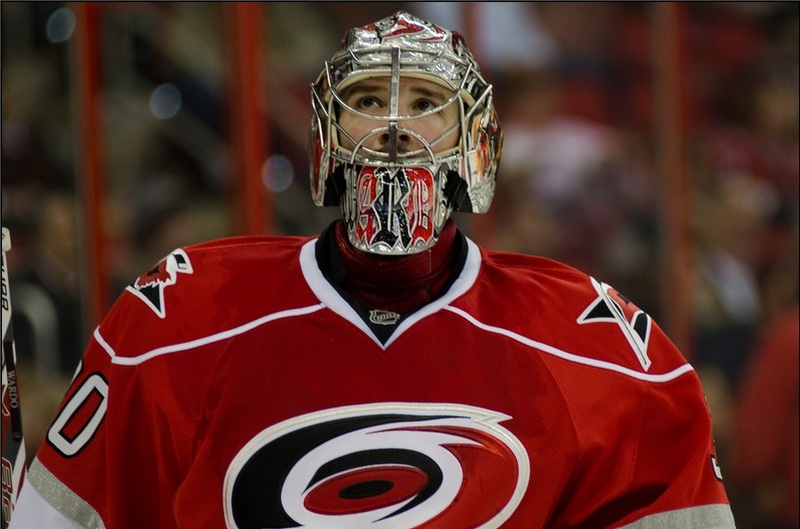 Cam Ward started both games and Elias Lindholm has found a little bit of a scoring touch. The Winnipeg Jets placed Matt Hutchinson in net to face the Chicago Blackhawks on Sunday and didn’t leave disappointed. Hutchinson made his second start of the season and earned a shutout saving all 33 shots he faced. The Blackhawsk have lost two in a row and three out of their last four. Michael Frolik scored against his former team with an assist from another former Blackhawk player Andrew Ladd. Josh Jooris scored two goals for Calgary as 10 Flames recorded at least one point in the rout against the Habs. The Flames have won two games in a row and are sitting in a three-way tie for second in the Pacific Division with 16 points. The Canadiens have lost two in a row but still sit in a tie for first in the Atlantic Division with the Tampa Bay Lightning. It took some free hockey for the Buffalo Sabres to earn the win but they’ll take it. The Sabres beat the visiting Detroit Red Wings 3-2 in a shootout to earn their first win at home. The Sabres have not been a very good team which is obvious, but there was an effort on Sunday that hasn’t really been seen all season. The players were happy to get the win for the fans as I am sure they were happy to get the proverbial monkey off their back as well. Zemgus Girgensons scored the game-winner in the shootout on a beauty of a goal.